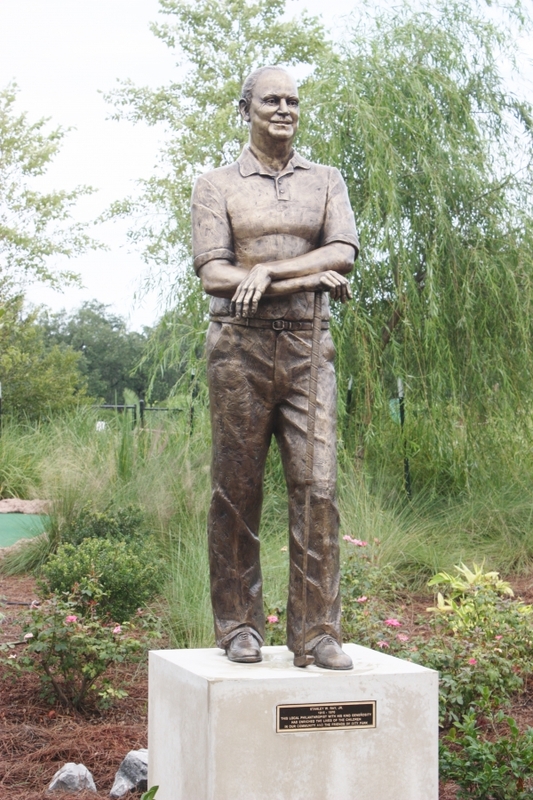 WHAT: Members of the Stanley Ray Trust, sculptress Kim Bernadas, and staff from New Orleans City Park are delighted to unveil a statue of Stanley Ray in City Putt, City Park’s miniature golf complex. 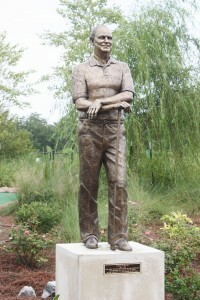 The New Orleans course at City Putt is sponsored by The Stanley Ray Trust. The course, along with the Louisiana course, make up the 36-hole complex. Stanley W. Ray, Jr. was born in New Orleans in 1915. Stanley attended Jesuit High School, and had a part time job with The Times Picayune as a student sports reporter; his stories of prep athletic events appeared under his by-line in The Times Picayune. Stanley entered Tulane University and was a varsity basketball letterman while an undergraduate. Stanley later graduated from Tulane Law School, and served in the Army Air Corps during World War II. Both of Stanley’s parents died an untimely death in an automobile accident while Stanley was young. He undertook the responsibility of raising his two younger siblings. Stanley’s business endeavors involved the operation of radio stations in the Gulf South area, and various real estate investments. Stanley was always concerned about young people, especially children in need. Stanley established a Trust which provides for needy causes, particularly for young students who have lost one or both parents. Stanley died in New Orleans unexpectedly in 1970. The playground next to Popp’s Bandstand is also named in honor of Stanley Ray. City Park is distinguished by its large menu of sports and recreational activities, attractions for children, and its natural beauty. City Park has a special place in the hearts of generations of New Orleanians and is a must visit for visitors to the city. As a popular place to picnic, play a favorite sport, wander through its gardens or take a boat ride- the Park receives millions of visitors each year. It is located in the heart of the city and is the largest recreation area for the entire metropolitan area. Attractions include: City Putt, New Orleans Botanical Garden, Storyland fairytale playground, the Carousel Gardens Amusement Park, and numerous athletic venues. The 1,300 acres of parkland provide enjoyment for young children playing on our playgrounds and walkers, joggers, and bicyclists winding through the Park’s streets and trails.